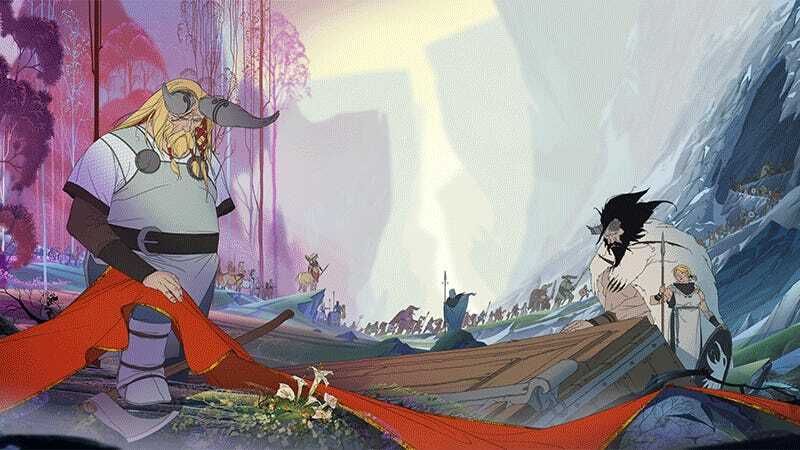 The Banner Saga 2 is an excellent strategy game, but the one thing fans (or even casual observers) tend to associate most with the series its its absolutely gorgeous 2D art. From epic backgrounds to hand-drawn animation, it’s one of the most beautiful video game series on the planet, so it’s an absolute pleasure today to be able to showcase a range of art from The Banner Saga 2. Everything you’re seeing here is the work of two artists, Stoic co-founder Arnie Jorgensen and Igor Artyomenko (whose work we’ve featured here previously).